ORCASUB IBIZA is located right at Cala Tarida Beach, specifically at the »Insotel Tarida Beach Sensatori Resort *****, so that you can easily combine your family holidays with diving. We are already getting everything ready for the new season. From our compressors and boats to all our diving tanks and gear, everything has been checked and prepared… we want it to be in perfect condition for you. 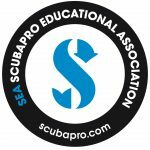 Recreational diving, Technical diving, Snorkelling to Es Vedrá and more. Come to dive with us in the wonderful Cala Cala d´Hort Natural Reserve. Find in our diving shop a wide range of diving items from the main brands on the market. We have a special separate room for teaching courses, so that you can be quiet and concentrate easily. We offer you 20 complete diving equipment’s and different tank sizes: 10l, 12l, 15l, for either DIN or INT regulators. There is also a separate storage place for your own gear. All you have to do is set up your equipment and get ready to go into the water, as we will carry your cylinders from the diving centre to the boat with the help of our “small tank”. TANK FILLING STATION- AIR AND NITROX. We use a low-pressure feed compressor with a membrane to generate NITROX. We have two semi-rigid inflatable boats -one of them is 7.5 m. long and has a 200 HP engine, and the second one is 8.5 m. long and has a 300 HP engine- which we use for the different activities we organize at our diving centre. Each boat is for up to 12 people and we carry all the necessary emergency equipment, as for instance an oxygen tank, a VHF radio and a first-aid kit. Safety is our main priority ! OrcaSub Ibiza has all the required permits and licenses, boat operating authorisations, VHF radio and oxygen equipment on board (demand oxygen delivery system and continuous flow system). Our two boats are crewed by professionals who are duly authorized by the Spanish Merchant Navy and we have a contract that allows us to use a hyperbaric chamber.